ILFORD KARATE CLUB was founded in 1999 by Shihan Nick da Costa - a former multiple British, European & Commonwealth Karate Champion. The club's other main instructor is Shihan Maria da Costa, also a several times British & International Champion in full, as well as semi-contact competitions. Shihan da Costa has been a national coach for more than a decade and is a qualified NVQ assessor. He has also with the help of Shihan Maria, runs the highly reputed Docklands dojo on the Isle of dogs since 1987. Our aim is to enable you to protect yourself more fully and along the way gain fitness, flexibility, confidence and knowledge of the martial art of Karate. Kyokushin karate is different to other styles in that although it has a traditional base, it also gives the student the opportunity to take part in Full, as well as Semi-Contact tournaments and training. The club is affiliated to the British Karate Kyokushinkai (BKK), which is in-turn is affiliated to the International Federation of Karate, the English Traditional Karate Board and karate England. The club has gradings every 3 months and students have the opportunity of attending summer-camps, squad training sessions, competitions and courses run by the BKK. 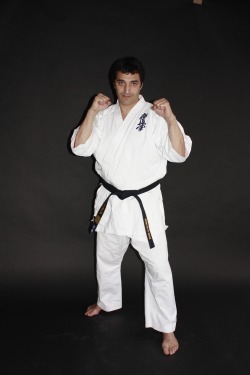 Kyokushin Karate club run by former British, European & Commonwealth Champion Shihan Nick da Costa. Established in 1999 and located in Ilford, London, Great Britain.